Written by Elizabeth Van Wie Davis. 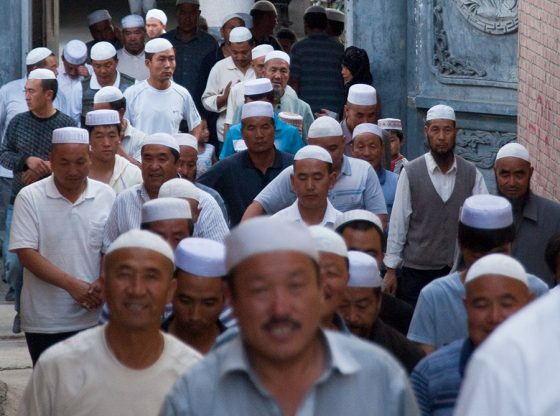 There are two major forces pressing on Chinese Muslims. The first is the massive urbanization in search of a better life that results in exposure to global forces. Persistent global forces echo the argument that all true Islam must look like Wahhabi Islamic thought, the dominant Saudi Islam. While Wahhabis are not the only force driving the global Islamic revival, they are dedicating money and clergy. Second, in response to this movement of fundamentalist Islam gathering strength in a less stable urbanizing environment, is the reactive pressures of the state. Chinese President Xi Jinping insists religions in China become more “Chinese” in character. This reaction corresponds with the tradition of a uniquely Chinese Islam that conforms to Confucianism and Daoism. In urbanizing China, religious freedom coincides with freedom to leave home. Chinese Muslims move to the city, enhance their economic prospects and encounter new religious trends. Not unlike other Muslim communities, urban Chinese Muslims struggle with issues of creating a community in a new urban, religiously-diverse setting and integrating their own history and traditions. Chinese Muslims move to the cities for financial opportunities. Most have legitimate and steady employment and are not limited to specific areas of the cities. Some consider themselves to be Shanghai or Beijing ren. Moving into the cities means leaving traditional community support and traditional views, exposing individuals to new versions of life and religion. Increasingly urban, Islam is practised by ten of the minority nationalities that were primarily rural. The largest group is the Hui and the second largest group is the Uyghurs. Most Chinese Muslims have lived in China for more than a thousand years. Hui are usually physically indistinguishable from Han Chinese and speak Chinese. Uyghurs are a Turkic people from western China and speak a Turkic language. Hui and the Uyghurs in cities usually worship at different mosques, ply different trades, and have different histories. Hui mosques increasing lean toward Wahhabi Islamic thought as more Hui study abroad or go on Haj. In Uyghur mosques, Wahhabism’s intolerance supports Uyghur political separatism. Some Hui Muslims criticize Uyghur Muslims for combining Islam with separatism because this political agenda makes it difficult for all Chinese Muslims. The increasing exposure to Wahhabism results in a stricter Islam and a less “Chinese” Islam. Along with Saudi Wahhabi influence, revivalist strands of Chinese Islam have reemerged. Yihewani, 伊赫瓦尼, Islamic thought founded in China in the 19th century, was influenced by fundamentalist Wahhabism. Yihewani is rising from its minority status into a major Chinese Muslim school of thought. As Wahhabi-Yihewani gains dominance, the older schools of Chinese Islam have faded, including the religious ideas merging traditional Chinese ideas of Confucianism and Daoism with Islam and mystic Sufi Islam. This is aided by funds from the Wahhabi-oriented transnational organizations and Middle Eastern governments to build mosques and schools that perpetuate Yihewani teachings. According to Pew, China’s Muslim population will be the 19th largest in the world in 2030, increasing to nearly 30 million and primarily living in urban areas. Exposure to Islamic thought from the outside Muslim world is re-shaping religious practices and deepening factional tensions amongst Chinese Muslims already in flux as they leave their traditional villages and move to urban centres. Younger Yihewani clerics and their followers spread Wahhabi teachings and criticize traditional Chinese Islam online. In debates about “authentic” Islam, discussion involves Wahhabism at the centre and any deviations from this centre as unauthentic. The harshest critics of Chinese Islam are Chinese Muslim reformists, who deride Chinese Islam as compromised. Islam in China is under government pressure to become “Chinese in orientation”. On the one hand, the Xi Jinping administration is wary of foreign influence or ethnic separatism arising from Islam and Christianity. On the other hand, the administration asserts China’s “traditional cultures” of Confucianism, Buddhism, and Daoism could curb the country’s “moral decline.” This translates into China strengthening limitations on religious activities and insisting religions follow society—first in 2015, again in 2017, and then in 2018—while reorganizing the bureaucracy to enhance enforcement. Article 36 of the Chinese constitution asserts “freedom of religious belief”. The State Council, the government’s administrative authority, passed new regulations on religions beginning February 2018 that gave rights to religious organizations to possess property, publish literature, train and approve clergy, and collect donations. Simultaneous government controls include restrictions on religious schooling, religious celebrations, online religious activity, and reporting significant donations. 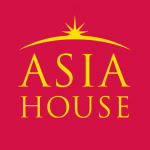 To enhance the Chinese government’s impact on religion, the bureaucracy was reordered in February 2018, including expanding the United Front Work Department’s power over policy and religion by absorbing the State Administration for Religious Affairs (SARA) and the Chinese Islamic Association. In May 2018, the Chinese Islamic Association—with the formula 爱国爱教—lauded traditional Chinese culture entering the mosque. Long before the current push to sinicize religion, Muslims actively merged Islamic and Chinese culture. In the 18th century, the Hui scholar Liu Zhi wrote the “Han Kitab,” a synthesis of Islam with Confucianism, identifying Muhammad as a sage and linking Sharia law to Confucian directives. Some Chinese Muslims still assert that Islamic and Chinese culture are compatible. The Dao (the Way) of Daoism equates to the notion of “truth” in Islamic teachings. The concept of De in Confucianism, Buddhism, and Daoism, the inner moral power to positively influence others, equates to the divinely endowed good character in Sufism. The “Han Kitab” combined Islamic and Chinese culture in an attempt to cultivate social harmony. While glorifying Islam is an integral part of their identity—such as the Islamic Admiral Zheng He, the model for the legendary Sinbad—Chinese Muslims remember the humiliations of being Chinese in the world. In the 19th and 20th centuries, Imam Hu Songshan was disrespected and humiliated on haj, not because he was Muslim but because he was Chinese. He concluded that only as citizens of a strong China could Chinese Muslims secure respect beyond China’s borders. China is again favouring religion that displays cultural adaptation and national pride. “Chinese characteristics” in 2018 is not far from the 18th-century synthesis of Islam with Confucianism. The Century of Humiliation works as a reminder almost as well today as it did seven decades ago. China is using familiar tools. The Chinese response to destabilizing urbanization and the rise of fundamentalist Islam is to apply a uniquely Chinese solution. Resurrect traditional Chinese Islam. With a large number of Muslims increasingly living in the cities, this is seen as imperative. According to Pew, China’s Muslim population will be the 19th largest in the world in 2030, increasing to nearly 30 million and primarily living in urban areas. This attempt to mould religion with a national character is anathema to liberal democracies’ religious freedom, but it may work in China and parts of Asia—where a third of all Muslims live and institutions are weak. There is little popular Chinese resistance. The majority Han Chinese, over 90% of the population, have long complained about China’s minority groups receiving advantages on college entrance exams and exemptions from laws. They now regurgitate anti-Muslim sentiment online. While the rest of the world also experiences Islamic revivalism, China has long dealt harshly with religion, especially where religious identity is seen as a conduit to separatism. China’s stronger standing in the world, sensitivity toward outside ideology, and fear of terrorism intensify suspicion toward Muslims. The same social instability from urbanization that Wahhabism seeks to exploit is social instability China seeks to calm. Chinese history of co-opting religion has worked in the past and may or may not work in the 21st century. Elizabeth Van Wie Davis is a Professor focusing on Chinese domestic, foreign, and defense policies at the Colorado School of Mines, who previously was a Professor of Regional Studies at the Asia Pacific Center for Security Studies as well as the Fei Yi-Ming Professor of Politics of the Johns Hopkins University’s, SAIS Center in Nanjing, China.Image Credit: CC by Evgeni Zotov/Flickr.